As OpenStack deployments mature from evaluation/development to production environments supporting apps and services, high-availability becomes a key requirement. In a previous post, we showed you how to cluster the database backend - which is central to the operation of OpenStack. In that setup, you would have two controllers, while placing a 3-node Galera cluster on separate hosts. 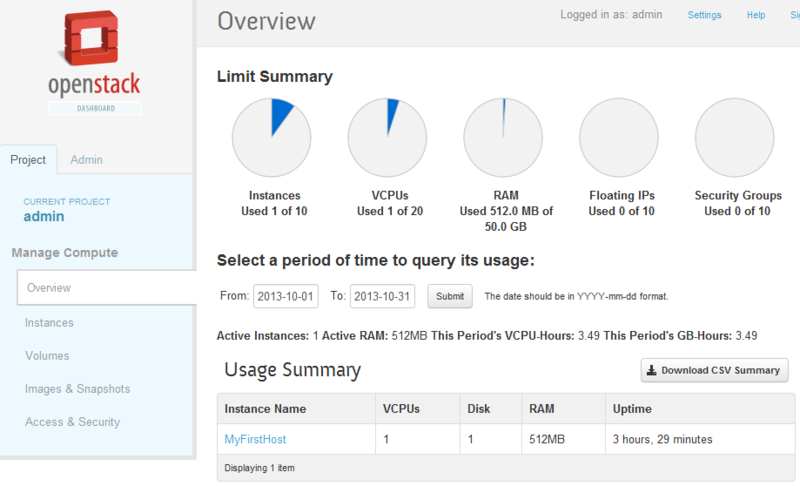 Now, it can be quite a leap to go from one VM with all services running on it, to a fully distributed setup with 5 VMs. The good news is that you can have a highly available setup starting with just 3 VMs. In this post, we are going to show you how to cluster OpenStack Havana in a minimal node setup with 2 controllers and one compute node. 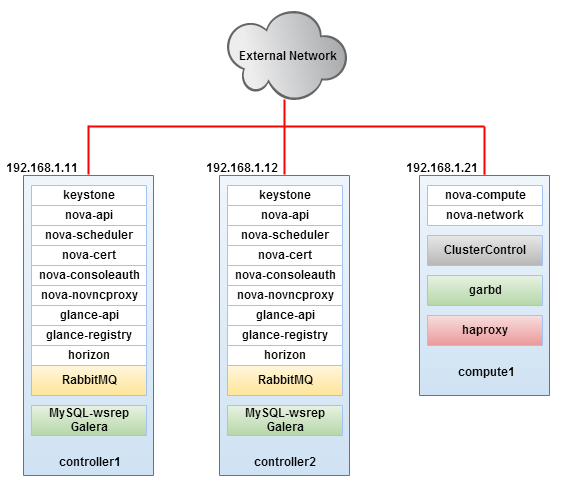 Our controllers will be running all OpenStack services, as well as clustered RabbitMQ and MySQL. A third node will have a mandatory Galera Arbitrator (garbd) colocated with a ClusterControl server. The third node can also serve as an OpenStack compute node. We will be using Ubuntu 12.04 LTS 64bit codename Precise on all of our hosts. The installation will be performed as root user, so we expect invocation of “sudo -i” command on each SSH session. Make sure to install NTP service on all hosts and use ntpdate to sync from the controller node NTP daemon. IPtables is turned off by default. All hosts should have two network interfaces, one for external network while the other one is for OpenStack’s internal usage. Only the controller node has a static IP assigned on eth1 while others will remain unconfigured. At the moment, HAproxy loadbalances MySQL requests on port 33306 on the ClusterControl node. The following steps should be performed on all nodes. The following steps should be performed on controller nodes. We can now proceed to install OpenStack services. All steps under this section should be performed on both controller1 and controller2 unless specified. All steps should be performed on both controller1 and controller2 unless specified. $ keystone tenant-create --name=admin --description="Admin Tenant"
$ keystone tenant-create --name=service --description="Service Tenant"
$ keystone service-create --name=keystone --type=identity --description="Keystone Identity Service"
$ keystone service-create --name=glance --type=image --description="Glance Image Service"
$ keystone service-create --name=nova --type=compute --description="Nova Compute Service"
4. Open the Horizon page on controller1 (http://192.168.1.11/horizon) and controller2 (http://192.168.1.12/horizon) so Horizon can generate secret key. Do not log into it yet. 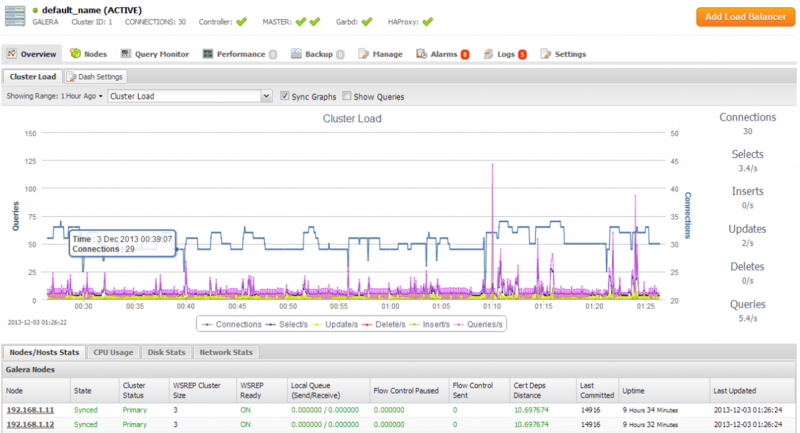 Log into ClusterControl at http://192.168.1.21/clustercontrol to view your Galera Cluster, see screenshot of the dashboard below. **Note: This setup does not covered the high availability of Glance backend storage to store images. You may use other better solution like Swift as the storage backend.